The African Development Bank (AfDB) has declared its resolve to eliminate energy poverty in the continent of Africa. Addressing a high-level panel comprising African ministers of the environment and heads of country delegations at the ongoing 6th Special Session of the African Ministerial Conference on the Environment (AMCEN) in Cairo today, the AfDB President, Dr. Akinwumi Adesina revealed that over 645 million Africans have no access to electricity and have become accustomed to living in darkness. Represented by Prof. Anthony Nyong, the AfDB president decried the fact that over 600,000 women and children in Africa die each year from indoor smoke inhalations while trying to prepare meals for their families. According to him, the brakes being applied on Africa's development by the obvious lack of energy leaves the AfDB with no choice than to declare an all-out war against energy poverty in Africa. Revealing aspects of the bank's strategic onslaught against energy poverty, Dr. Adesina declared that in addition to the New Deal on Energy for Africa, "the light up and power Africa’ Initiative will achieve universal access to energy in Africa by 2025. The New Deal is built on five inter-related and mutually reinforcing principles which include raising aspirations to solve Africa’s energy challenges; establishing a Transformative Partnership on Energy for Africa; and mobilising domestic and international capital for innovative financing in Africa’s energy sector. Other aspects of the New Deal are supporting African governments in strengthening energy policy, regulation and sector governance; and increasing the African Development Bank’s investments in energy and climate financing. In its all-out war on energy poverty, the development bank is ensuring that the vulnerable and poorest groups in Africa are not by-passed in the drive for universal energy access with the establishment of the “Bottom of the Pyramid Financing Facility for Africa” and the $300 million “Affirmative Financing Facility for Women in Africa. "Once we can get our energy right, we can get all the other SDGs right," the President added. 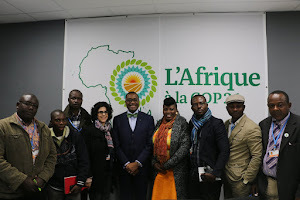 In recognition of the Africa Renewable Energy Initiative (AREI) as a major building block in wiping out poor access to energy, Dr Adesina called on all development partners to strongly support the AREI to reduce Africa’s reliance on polluting energy technologies. "I call on our regional member countries to create the enabling environment to facilitate massive investments in renewable energy on the continent," the AfDB President said. Meanwhile, the African civil society under the auspices of the Pan African Climate Justice Alliance (PACJA) says it received the recent launch of the AREI with interest as the initiative carries the prospects of facilitating successful transition to the inevitable low-carbon, climate-resilient development trajectory, in addition to reducing energy poverty and mobilising substantial financial resources if it is implemented well. However, the Alliance cautioned that AREI and other renewable energy initiatives dotting the African continent should put in place comprehensive safeguards and holistic frameworks to address both social and environmental dimensions of human development, including the rights of indigenous peoples and gender disaggregation. According to PACJA's Mithika Mwenda, AREI should have a governance structure that is African-led, African-controlled, and providing space for civil society representation. It was in furtherance of this inclusive and people-centred imperative that the Alliance facilitated consultations among an array of partners at the ongoing Cairo AMCEN meeting which led to the establishment of a Non-State Actors platform (African Coalition for Sustainable Energy and Access – AC/SEA). The new platform aspires to engage on AREI and other energy transformation initiatives in the African continent. The civil society platform which comprises small holder African farmers, traders, pastoralists, women and youth groups from the five regions in Africa urged African leaders to ensure that AREI runs its own governing framework, fully independent of the Trustee, the AfDB’s organisational structure. Having endorsed the importance of AREI, PACJA believes AfDB’s New Deal for Africa should over time, inspire it to redirect its priorities overall so that its energy investments shift incrementally to renewable energy in the spirit of AREI. The Africa Renewable Energy Initiative (AREI) is a transformative, Africa-owned and Africa-led inclusive effort to accelerate and scale up the harnessing of the continent’s huge renewable energy potential. Under the mandate of the African Union, and endorsed by African Heads of State and Government on Climate Change (CAHOSCC), the Initiative is set to achieve at least 10 GW of new and additional renewable energy generation capacity by 2020, and mobilize the African potential to generate at least 300 GW by 2030. The AREI is firmly anchored in the context of sustainable development and climate change. It shows how low to zero carbon development strategies can be achieved in African countries through climate finance and means of implementation according to the principles of the UN Framework Convention on Climate Change (UNFCCC). It recognizes the critical importance of rapid expansion of energy access for enhanced well-being, economic development and the fulfilment of all Sustainable Development Goals.